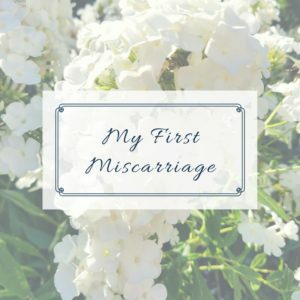 October is SIDS, Pregnancy & Infant Loss Awareness Month, and I am sharing the story of my first (and most traumatic) miscarriage. It was difficult to put down into words, but I have done a lot of work on processing it in the years since it happened. I write it both to share my story and warn others to watch out for over-zealous surgery-happy doctors. Most of all, I hope the story brings people hope. From the depths of this sadness we recovered, and we went on to have a beautiful, perfect little boy who fills our lives with sunshine and smiles. Honestly, it was a faint line. A very, very faint line. But, it was my first faint line, and I was beyond thrilled to see it. We had been trying for about 10 months and I was one week late for my period when the line showed up. The line was so faint that my husband wasn’t convinced and suggested we wait and test again before we called the doctor. We went hiking the next day with friends and I remember being so happy about my little secret, but also so worried about not overdoing it with the exercise and not getting dehydrated. I hiked slowly, drank lots of water, and my husband had to keep telling me to stop smiling and holding my belly so our friends wouldn’t suspect. I waited a couple days and tested again. I couldn’t see a line. But my period was still missing and I was having cramping on my right side over my ovary so I called the doctor anyway. They brought me in and did an ultrasound. A closed cervix! I was pregnant! 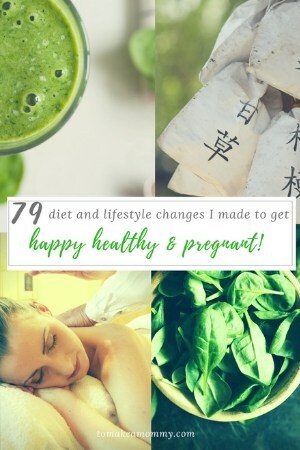 I had never been pregnant before and I was starting to get worried that I couldn’t get pregnant. I was thrilled! They congratulated me and told me not to worry about the pain on my right side- they could see the cyst that released the egg was on the right ovary, and that was probably what the cramping was from. They weren’t worried about not being able to see other things, because, after all, I was barely past 5 weeks pregnant. I was going to my regular OB, not an RE yet, so they didn’t get the blood test results that day. I got a call a couple days later from the nurse saying my hCG was 33, but not to worry because it was still early. But, every home pregnancy test I had taken was negative. My right side was really hurting. And, I had been spending a lot of time with Dr. Google. I was worried. My husband was worried. We were worried about an ectopic, and we were worried about why the hCG wasn’t rising and I wasn’t getting positive tests at home. The nurse also told me to go straight to the ER if I got dizzy, lightheaded, or had intense pain on my side. “Intense pain on my side?” I asked. “I thought we ruled out an ectopic with the scan.” Apparently, she said, it was still possible so they wanted to watch me carefully. At the ER they took my blood and did another ultrasound. There it was! A little sac right there in the uterus! No heartbeat yet, but there it was! In the uterus! On my smartphone I quickly turned once again to Dr. Google to double check that you couldn’t have a sac AND an ectopic. I found a study that showed that though it was technically possible to have a “psuedosac” in the uterus it was highly unlikely. I was reassured, and we were so excited. We started brainstorming baby names while we waited to see the doctor. For twenty beautiful minutes or so we truly believed we were going to have a baby. The doctor came in and he wasn’t smiling like we were. My hCG was 30. Not only had it not doubled, it had dropped. He told us the pregnancy was probably going to end soon. He said something about a “blighted ovum.” They sent us home. 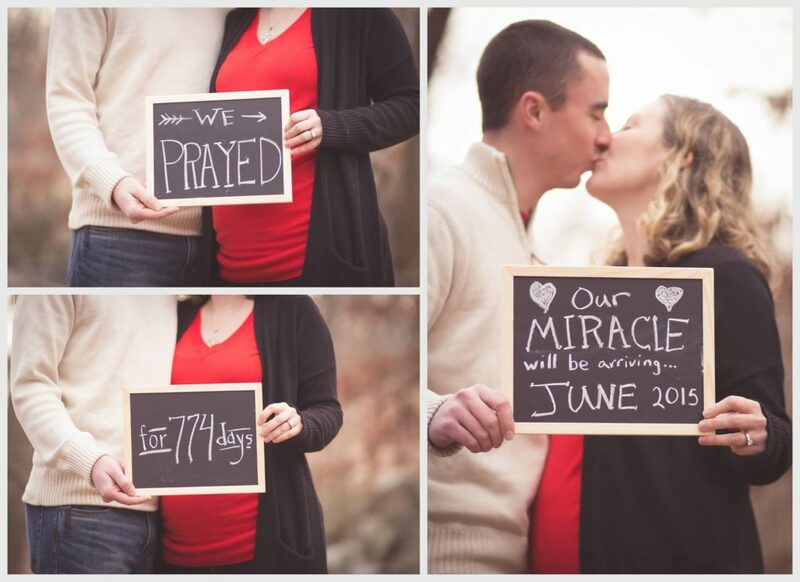 We prayed for a miracle for about 24 hours until the cramps and bleeding hit. I called my OB and they said to take ibuprofen and come in on Monday to be checked. I spent the weekend bleeding, crying, and cuddled up with a heat pack and my cat. I passed things I’d never seen before, so I knew it was truly over. On Monday I went in to the OB for a scan. They said it was, “to make sure there’s nothing leftover.” First they gave me a Rhogam shot in case the embryo’s heart was already pumping blood, since I have a negative blood type and my husband has a positive type. Then I had the scan. At first the tech seemed to think things looked fine- nothing left in the uterus. Then she got concerned- it looked like there might be bleeding in the tube. We waited to see the doctor. He said we had to go immediately to the ER (again). I protested. “I’ve already passed multiple large clots, I don’t have any pain on the side anymore, are you SURE you see bleeding in the tube?” He said he couldn’t be sure, and to be on the safe side I needed to go to the ER. Only there could I get the results of a hCG test immediately- they’d have to wait days at the doctor. They sent me with a printout of the scan. At the ER they took my blood and we waited for the doctor. The doctor came in with forms for us to sign- I needed emergency surgery for an ectopic pregnancy..
No, we can’t waste the time. No- we can’t risk your life by waiting. We haven’t seen that scan. We can’t risk it. Did you save the tissue? We were scared. We were scared for my life, for my tube, and we were already emotionally broken from dealing with the miscarriage over the weekend. We said okay. We called the hospital priest and he gave me the Blessing of the Sick and said a prayer for my fallopian tubes, as there was a risk I might lose one in the surgery (Catholics really get this kind of stuff). I was awake from the surgery for a few hours when the doctor came in. They didn’t remove the endometriosis- but they said they would be happy to perform another surgery in a few months to remove it if I wanted. I had the shot of methotrexate. It’s a cancer drug that stops cells from multiplying. 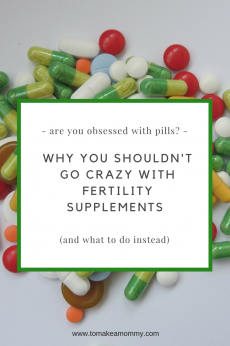 It causes nausea, vomiting, diarrhea, abdominal pain, and you can’t try to get pregnant for at least three months while it is still in your system. It can make you more vulnerable to infection, and cause temporary abnormalities in liver function. I was put in the maternity ward for my recovery. My husband stayed with me. Across the hall was an Indian couple with a beautiful little baby girl. That night when one of the nurses helped me up to go to the bathroom I fainted. I woke up with 8 doctors and nurses around me and a blood pressure reading of around 60/40. They were frantically trying to get a second IV in. My blood pressure recovered, and I stopped the narcotics to not risk another such episode. The next morning the hospital photographer came by to ask if we wanted a picture of our baby. They asked if I wanted to leave right away or wait until the afternoon to see the doctor again. Given my fainting the previous night, we decided to wait until the afternoon to make sure I could walk without passing out and to see the doctor again. She showed up in the late afternoon. “So,” I said, “there wasn’t an ectopic? “No,” she said, shifting in her seat.. Eight months later I finally saw a specialist who ran tests and recommended IVF and freezing my eggs. We stalled and a few months later when we went back my FSH had shot up to 34- too high to be allowed to try IVF. I was diagnosed with diminished ovarian reserve, endometriosis, and single MTHFR mutation. 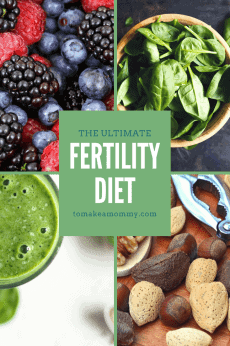 When I finally hit that point- what I call my “fertility rock-bottom” I received incredible motivation to heal myself and completely commit to my baby journey. 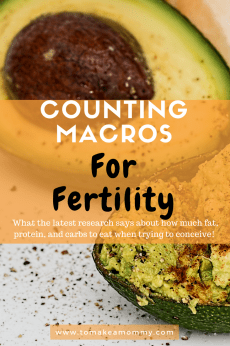 It only took 2.5 months of sticking to a strict fertility diet, cleansing our house and personal care routines of toxins, and committing to a daily fertility mind-body practice– and I was pregnant. Naturally. The old-fashioned way. I now have a beautiful 16 month old boy who fills our hearts with joy. We co-sleep because we can’t stand to be away from him, and we love to see him wake up smiling. Whenever life gets stressful we just look at him and know how incredibly blessed we are. 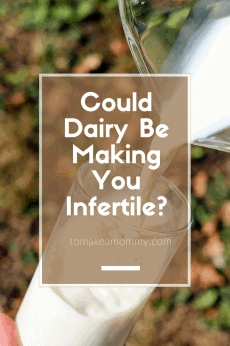 I know I still have “infertility,” but I truly believe that when I stop nursing (whenever that may be! ), and I completely commit to my baby journey again, I will be blessed with another child. No matter what you have suffered, what pain and loss you have experienced, I hope you can find the strength to believe in miracles and know that you can be a mommy (or a daddy) if that is what you want- no one can stop you, except you. Anna, you’re an inspiration for many!! Thank you Winnie! You have your own beautiful miracles!! I am so sorry for your losses and struggles. For me the Fertile Heart program was like a little miracle and Julia Indichova was a fairy godmother. I did a teleconference series and was planning to go to an in person workshop when I found out I was pregnant. 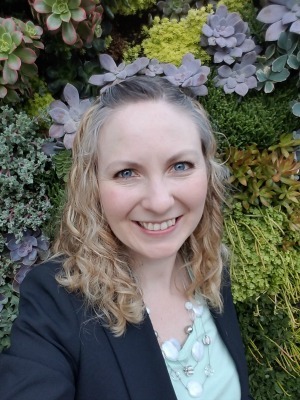 I loved the teleconference series for 2 reasons 1- because I finally understood how to DO the full Fertile Heart program and it was AWESOME and 2- because the group work we did and the interactions I had with Julia really helped me understand myself and my journey. This is the one thing that I really believe helped me get HAPPY again and believe that I could have miracle. Then I did! If you can spend the money is recommend it for sure. Of course, her style isn’t for everyone. So, be sure to read her books first and spend time on her website to see if her message resonates with you! Baby dust!!! I’m so glad you found my site, but I am so sorry for your losses! Definitely do the mind-body stuff! 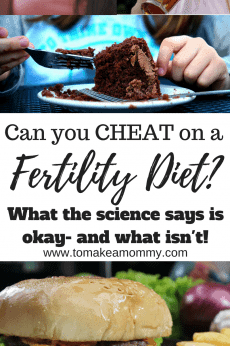 Research shows it can triple the successful pregnancy rate (studies done on IVF, but I’m sure it works for natural as well). At least do the Circle & Bloom, then think about something bigger. 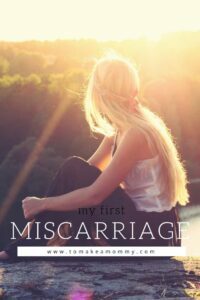 I needed to do hypnotherapy to deal with my miscarriage I describe in this post. Think about it! Good luck with the dairy! It was so hard for me to give up, but it made such a big difference!!! Thank you so much for sharing your inspiring story. I am 34. We have been trying for the last 1 year and had 2 early miscarriages. I have been through a gamut of tests for RPL. I have an antral follicle count of 11. I am terrified to take the AMH test. Sometimes I feel like giving up. Sometimes I feel like my body is too old to carry a pregnancy to term. Thank you for your blog. I am following your “79 things to do”. Hopefully I will hold my rainbow baby someday. HI Kaspal! I am so sorry for your losses! I think right at about one year is when most women start to feel really frustrated and like “giving up.” Make sure to concentrate on the mind-body work in the 79 things– you need to feed your soul and pursue your happiness! Also– Girl, you are 34?!?! How can you feel like your body is too old??? You are a spring chicken!!! !